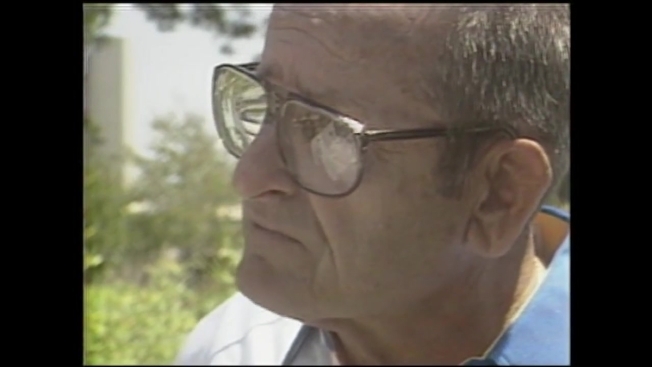 Video from the NBC 7 Archives shows Alex Spanos in 1984 as he announced he was purchasing part of the San Diego Chargers and fulfilling a dream. The longtime San Diego Chargers owner Alex Spanos died Tuesday, his family announced. He was 95. The team Spanos bought and ran as a family business for decades relocated to Los Angeles in 2017 under the management of his son, Dean Spanos. "From humble beginnings to becoming the top apartment builder across the nation and the owner of an NFL franchise, Alex proved that dreams do come true," according to the family's statement. Funeral arrangements will be announced later this week, the family said. Spanos borrowed less than $1,000 in the early 1950s to buy a used catering truck. The truck was used to sell meals to migrant farm workers in the Central Valley, according to his biography on the Chargers’ website. His autobiography “Sharing the Wealth: My Story” describes his early business ventures. Spanos bought an interest in the Chargers in 1980 and acquired the team outright in 1984. Ten years later, he put his son, Dean, in charge of operations and retired. "His uncompromising drive for success – one rooted in toughness, resilience and hard work – made an indelible mark on the team," the Los Angeles Chargers said in a statement Tuesday. NFL Commissioner Roger Goodell hailed Spanos as "an American success story, driven by a tireless work ethic inspired by his humble beginnings." "Laura and I send our condolences to the Spanos family on the death of their beloved patriarch, Alex Spanos," former President George W. Bush said in a statement. "Alex was one of a kind. ... He was a wonderful citizen and friend, and the Bush family will miss him." In 2008, Spanos announced he was suffering from dementia by publishing a letter in the San Diego Union-Tribune. That same year he was awarded the Medal of the Commander of the Order of Honor by the Greece president. He and his wife, Faye, met when Spanos was stationed with the U.S. Air Force in Tarpon Springs, Florida. They were together for 77 years until her death in August at age 92. He had four children, Dean, Dea Spanos Berberian, Alexis Spanos Ruhl and Michael along with 15 grandchildren, and 12 great-grandchildren. In lieu of flowers, donations may be sent in the name of Alex Spanos to the following charities: American Legion – Karl Ross Post #16, 2020 Plymouth Road, Stockton, CA 95204; The Stockton Scholars Endowment Fund at UOP, University of the Pacific, Attn: University Development/Stockton Scholars, Endowed Fund, 3601 Pacific Avenue, Stockton, CA 95211; The Discovery ChalleNGe Academy, 2922 Transworld Drive, Stockton, CA 95206; or YMCA of San Joaquin County, 2105 West March Lane, Suite 1, Stockton, CA 95207.